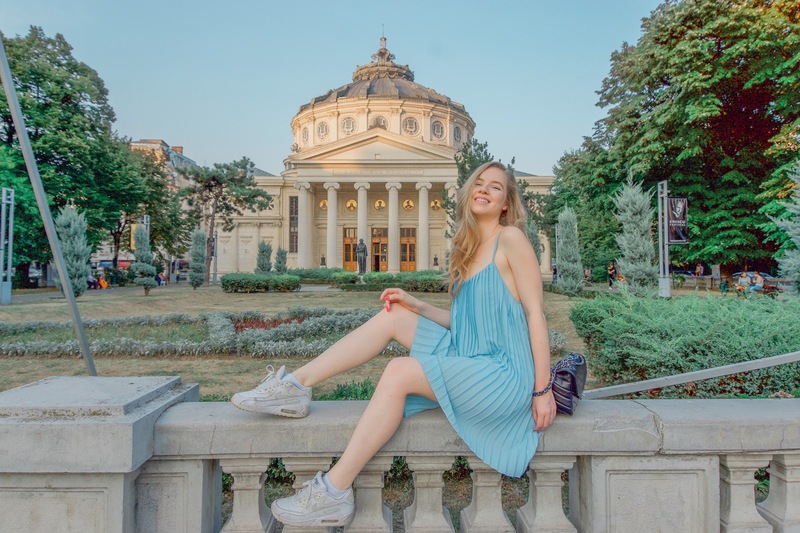 The Romanian Athenaeum is a landmark in Bucharest which operates as a concert hall. This fairytale -like palace has been a temple of Romanian art and culture since 1888. 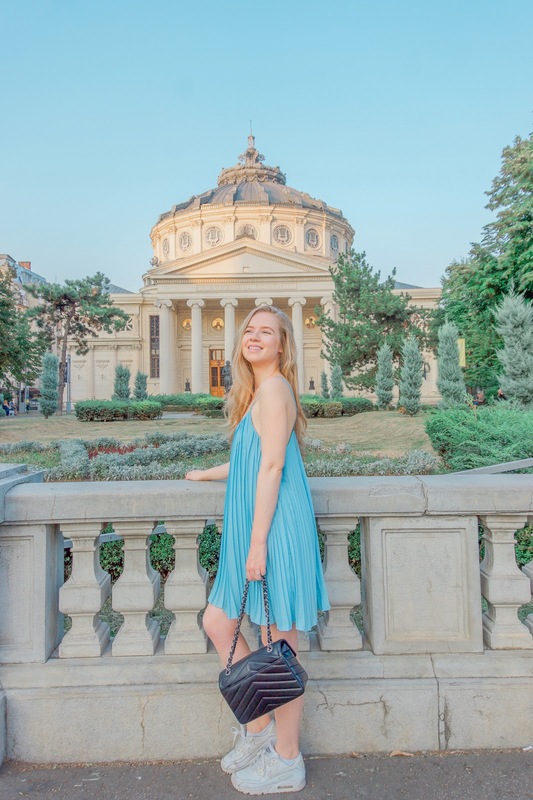 It was designed by french architect Albert Galleron with 6 columns and mosaics with the faces of 5 Romanian rulers: Neagoe Basarab, Alexandru cel Bun, Vasile Lupu, Matei Basarab and King Carol I. The inside is even more impressive than the outside, they didn't let me shoot inside though so you'll have to visit for yourself. Did you know it was built almost entirely with money donated by the Romanian citizens?! The campaign was 'give a penny for the Athenaeum' - how cool is that? Cute and simple outfit. I like the color. Great background place by the way. You bring the best in you. Nice smile! You made us happy because of your smile! You look amazing on your post! Simple but elegant! Nice post. Beautiful girl!Simple and nice post. I love the way she smiles.Beautiful!